This sequence of postures will created a mind-body-heart connection that will help to release heart tension, pain and loss and create a deep senses of compassion, love, and lightheartedness. Lots of postures, lots of support and a sweet Savasana. Yoga therapeutics allow a deep level of healing for mind-body-heart. When your body moves into deep integrated alignment energy flows and healing happens. For most of us our spines, shoulders and necks could use some love and this is what you will receive in this session. A sequence to wake you up mentally and physically. Be ready to rock your mat through a mix of standing, backbends, handstands, hop openers and arm balance postures. This will melt away any of the Winter blues that are trying to steal your bliss. Essential oils are not new but hte reason they have become so popular is due to the amazing high quality and level of purity of doTERRA oils. Bringing them into your yoga practice, mediation and life will help you support a deep level of spiritual connection, and mind, body, heart, gut. 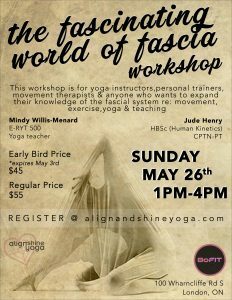 This practice will include postures, like forward bends, twists and hip openers along with meditation and pranayama. You will get your own yoga oil to take home with you too!